Great Lakes steelhead guides are real handy for landing trophy chrome! Hiring a guide for a steelhead fly fishing trip on the Lake Erie tributaries (or anywhere in the Great Lakes for that matter) could make or break a newbie’s first steelhead trip. Is this added expense really necessary for the rookie steelheader? 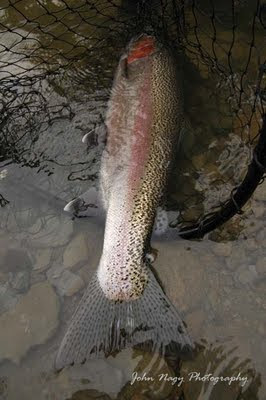 How about steelheaders who have already wet their line for steelhead but have had limited success on the tributaries? Would veteran steelheaders benefit from a guide as well? The following is an informal run-down of reasons not to hire (as well as to hire) a steelhead guide on your next steelhead trip. -Prefer to do your own homework in finding and catching steelhead (self service/do it yourself type of fisherman). Can go on multiple trips to achieve this and feel this is much more satisfying and rewarding than depending on a guide for success on the tributaries. Besides, guided trips really result in fish that are caught essentially by the guides and not their clients! -Have a solid fly fishing background and don’t need basic technique instruction, reading the water strategies, and fish fighting coaching, etc. -Can find information on tributary run-off, access points/parking, hot flies, etc. from local shops, local fisherman, internet, books, DVD’s on my own. -Put mobility at the top of your agenda and like to cover as much water as possible in a day including various tributary sections and multiple tributaries. Many walk-in guides do not have this approach and prefer to “park” their customers in a couple holes all day (float trip with guide is option/see “you need to hire a steelhead guide” below). -Prefer to use your own personally tied flies and experiment with a wide variety of patterns (even though this may affect my hook-up rate). This is not normally possible on guided trips since guides prefer to use their own flies and normally stick with a handful of patterns they know will work. -Can find pre-trip driving directions, places to stay and eat on my own. -Pressed for funds and prefer to use extra cash for equipment, flies and travel expenses. -Prefer to fish by myself and don’t need a guide breathing down my neck all day! 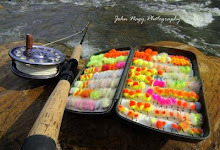 -Don’t have time to do the necessary homework to find and catch steelhead. -Can only fish once or twice per year and need catered to in all aspects of the steelhead trip (i.e., work too much to plan, prepare and put my dues in for a successful steelhead trip). Besides that’s a lot of work….let the guide do it! -Need personal help/recommendations in tackle, equipment, flies (if I choose to use my own on the guided trip) as well as travel directions, lodging, food, etc. -Need some fly fishing instruction in drift and casting techniques (including double hauling and spey casting). Tip: Basic fly fishing instruction should be taken care of by client prior to a steelhead guide trip (some guides will provide this though). -Want to benefit from experience of guide who’s on the water almost everyday and knows where the steelhead are located (specific tributaries and tributary sections) and what flies they are biting on. Tip: you can come back to hammer them at the guide spots but try not to wear out your welcome! - Want to fish private water to get away from crowds and fish virgin water as well. This is very controversial since steelhead are paid for by public license fishing dollars and not stocked by private land owners. (Public fishing easements such as obtained by the Pennsylvania Fish & Boat Commission through the Lake Erie Access Improvement Program have helped keep many sections of Lake Erie tributary water open to public fishing). -Like to be catered to by a guide (e.g., driving to fishing spots, rod/reel setup, rigging/leader setup, flies tied on all day, un-doing leader/tippet tangles, getting out snags, landing fish, photography, snacks/water, hot/cold shore lunch). -Need help wading and crossing rivers, particularly in higher flows. 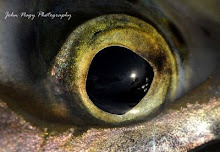 -Want to see how steelies are caught by a pro. Obviously the guide is not being paid to fish but a guide executing drift and swing techniques and catching fish can be an invaluable learning experience for the guided customer. -Enjoy feedback, company and personality of a guide. Appreciate guides knowledge of natural history of area as well as local history (some guides lack in this though). -Don’t have any equipment including tackle, waders and flies (guides may charge rental fee for some items including extra charges for flies used). -Will not be using my own equipment (or don’t have any) and want to try the newest fly tackle and equipment from major/high-end manufacturers (some guides do not update their equipment and/or use cheaper tackle). -Don’t have confidence in my own hand tied flies and want to take advantage of proven guides flies (although local shop flies can be killer as well). -Want to benefit from guides access to drift boats, canoes or pontoons (including shuttle) for big water drift trips. Float trips require very little walking and allow the steelheader to fish lots of water in a day (but usually on only one river). -Are a seasoned steelheader and realize that you can always learn something new from a good steelhead guide! 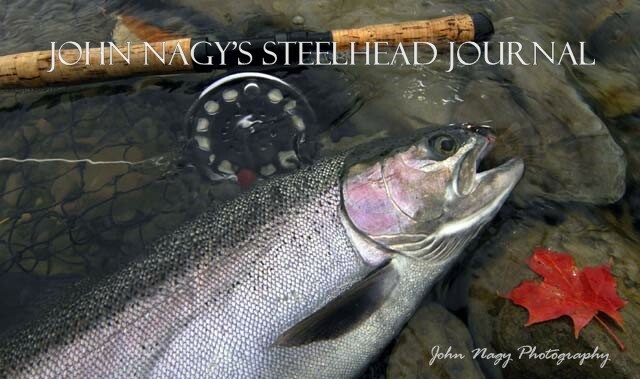 Whether you are a self service type steelheader or feel more confidant with a guide on a steelhead fishing trip, John Nagy’s Steelhead Guide book is a great primer for success on the Lake Erie tributaries as well other areas of the Great Lakes. Steelhead Guide, Fly Fishing Techniques and Strategies for Lake Erie Steelhead (updated and expanded 4th edition) covers in detail how the techniques, equipment, flies, steelhead behavior, stream conditions and weather all combine to produce a successful Lake Erie steelhead trip. Steelhead Guide also includes stream profiles of various Lake Erie tributaries, a tributary ideal flow table, hot steelhead fly pattern recipes including steelhead tube flies (all photographed in 11 color fly plates), updated guide and tackle shop lists, current smolt stocking lists and web sites as well as lakeshore lodging and dining.